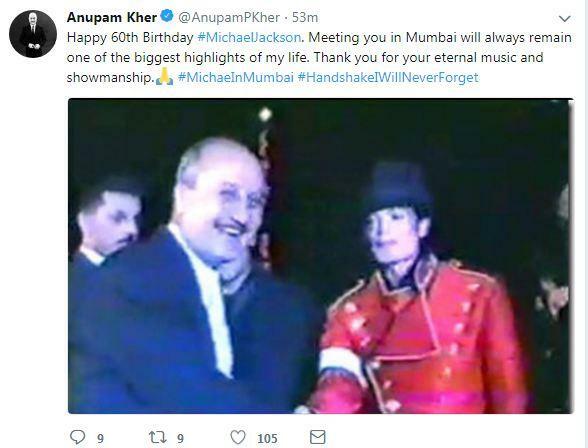 On the occasion of late pop star Michael Jackson's 60th birth anniversary, veteran actor Anupam Kher remembered how meeting the 'king of pop' was one of the biggest highlights of his life. 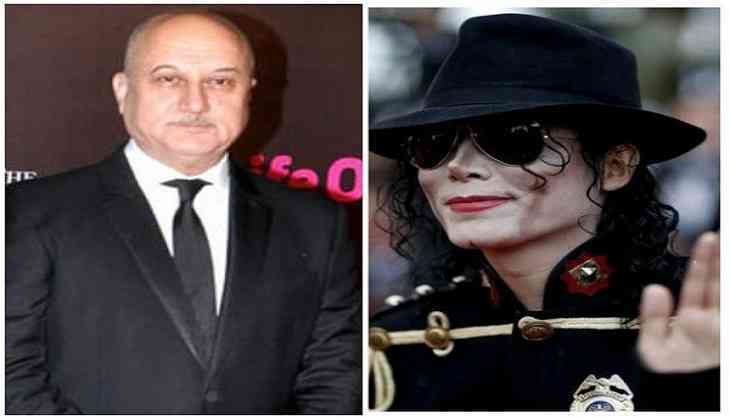 The 63-year-old took to social media to thank the 'thriller' hit-maker for his eternal music and showmanship. Bollywood actor Tiger Shroff also paid a dancing tribute to the pop legend. Michael Jackson died on June 25, 2009, at age 50 from an overdose of the anaesthetic propofol and sedatives. His physician who administered the drugs, Conrad Murray, was charged with involuntary manslaughter.